With London temperatures slowly starting to increase a few degree's it is starting to finally feel like Spring and what with the blue skies and sun of the last few days it would appear many street artists are starting to emerge from the studios after the long winter and back onto the streets. 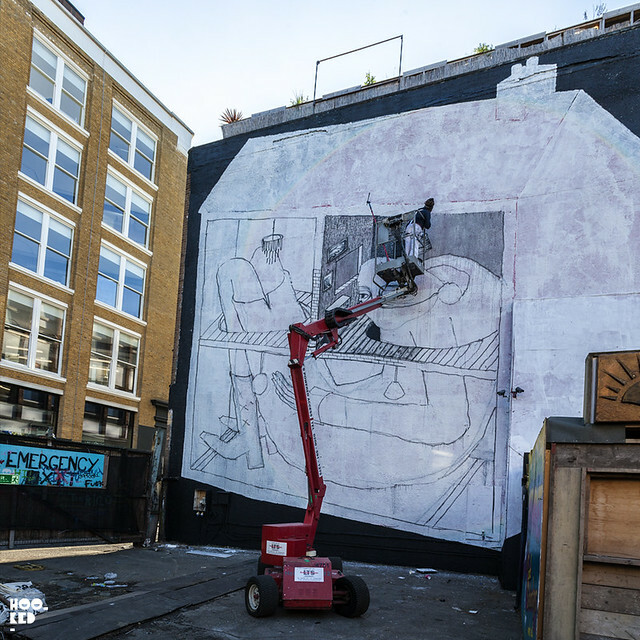 One artist making the best of the weather is street artist Phlegm, who earlier this week started working on his first London mural of the New Year. We last caught up with him back in October when he created this mural to coincide with the Moniker Art Fair, which is still to be seen on Hanbury Street just off Brick Lane. 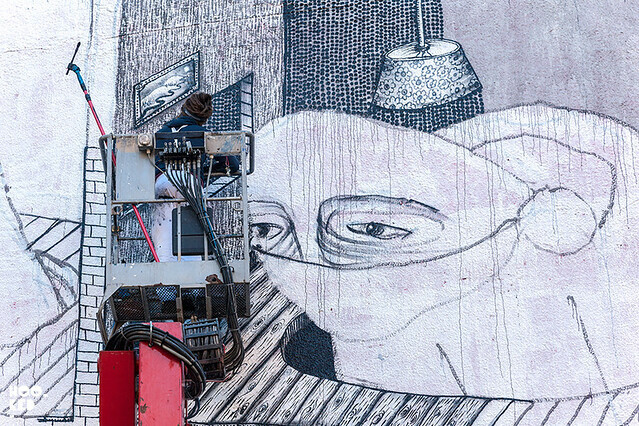 For this pictured new work Phlegm returns to East London's Red Market, invited by Alternative London to take on the massive wall in the yard and create one of his black and white signature pieces. 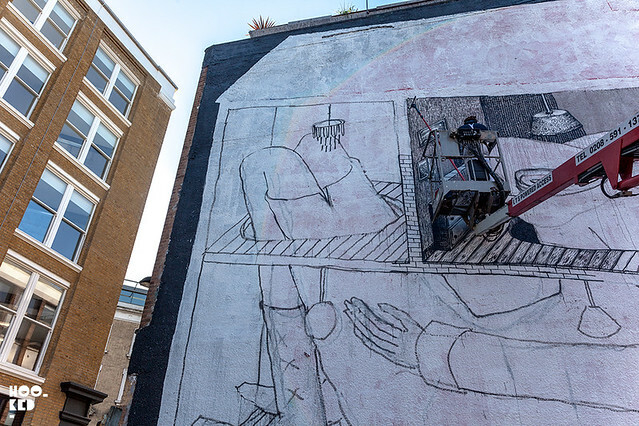 Below are a few work in progress images we captured yesterday of Phlegm at starting work on this new mural. Stay tuned for progress updates and if you happen to be in London and want to watch the artist at work you can find this piece on Rivington Street in East London.